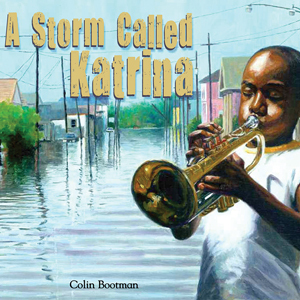 Six years after Hurricane Katrina swamped New Orleans and other areas along the Gulf of Mexico, two new alumni books attempt to capture that experience for children.In “A Storm Called Katrina,” a picture book for the very young, Myron Uhlberg ’55 tells the fictional story of a 10-year-old boy who lived through the 2005 ordeal with his family. Richly illustrated by Colin Bootman, the Peachtree publication received favorable reviews in The New York Times, Publishers Weekly, Kirkus Reviews and Booklist. Uhlberg and Bootman teamed up earlier to create the American Library Association prize-winning “Dad, Jackie and Me,” which tells the story of a young boy’s excitement over Jackie Robinson’s rookie season with the Brooklyn Dodgers. “Hooper Finds a Family,” by Emmy Award-winning TV producer Jane Paley ’69, was published by Harper for readers ages 8–12. Based on a real dog, the title character is a spunky pup who is displaced and terrified by the storm but hangs tough to make an incredible journey.